The Tsum Valley located near Gorkha, Nepal is a sacred Himalayan pilgrimage valley which is rich in ancient art, culture and religion. The word “Tsum” literally means vivid and it was a restricted region until recently. It opened for trekking in 2008. The Tsum Valley is very vividly related to Buddhism and has a deep history related to it. It is believed that the Buddhist saint Milarewa once meditated in the caves of these very mountains. You can find old monasteries and thriving communities of monks and nuns in this region. Along the way you will find walls lined with carvings of deities and inscriptions of prayers. The unique culture of this valley is still intact in its original form due to remoteness of this place. The Valley offers traditional authentic culture and charming natural beauty. The place has a diverse wildlife where you can easily spot herds of the Himalayan Thar and Blue Sheep. 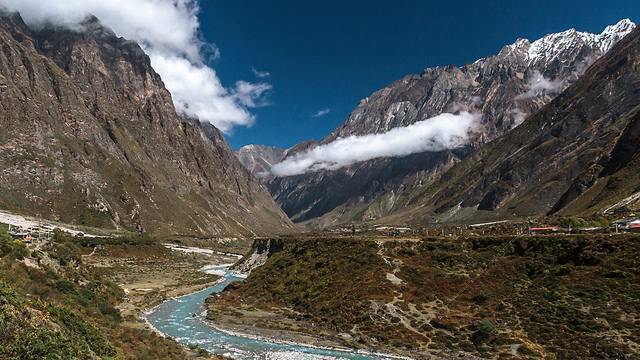 The journey to Tsum Valley is unparalleled which perfectly blends culture and adventure in all its exciting forms!